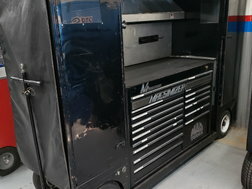 -Used track day toolbox -Includes cover -Built-in Mac Toolbox -Includes 2 steel jacks -Great for ARCA, Trans-Am, and others! Today’s CCF is a rare Copo Camaro 427 4 speed car. 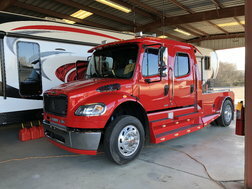 Get the race trailer you want TODAY - we have it IN STOCK! Check out this beautiful 28' Intech Icon package trailer - just arrived IN STOCK AND READY TO ROCK!